The Indonesia Transport Safety Assistance Package (ITSAP) forms part of the Australian Government’s Official Development Assistance (ODA) agenda. The goal of ITSAP is to improve transport safety by assisting Indonesia to regulate and promote transport safety per applicable international standards. Assistance is delivered through strategic partnerships such as that between the National Transportation Safety Committee (Komite Nasional Keselamatan Transportasi, KNKT) and the Australian Transport Safety Bureau (ATSB). 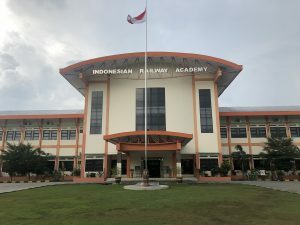 The ATSB recently engaged the Rail Industry Safety and Standards Board (RISSB) to deliver a Derailment Investigation and Analysis Workshop at the Indonesian Railway Academy in Madiun in East Java. RISSB engaged CERT to adapt and facilitate the workshop. The three-day, non-accredited workshop delivered both theoretical and practical based learning to over 40 candidates with the help of English-Bahasa interpreters. The workshop covered areas such as track faults, rolling stock faults, and train handling impact in derailments. 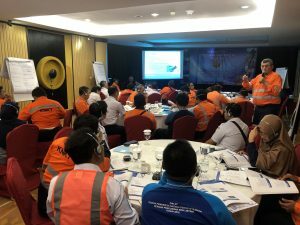 This visit represents CERT Training’s third facilitation in Indonesia, and it was our previous experience coupled with our highly-skilled team of trainers and assessors that allowed us to work closely with RISSB and ATSB in delivering an efficient, custom-designed training solution to KNKT. CERT Training provides a wide range of responsive, flexible, innovative, and cost-effective training solutions, and has delivered these training packages both in Australia and overseas. Are you looking for a way to progress your career within the Rail Industry?